6" plastic tube with silver cap. 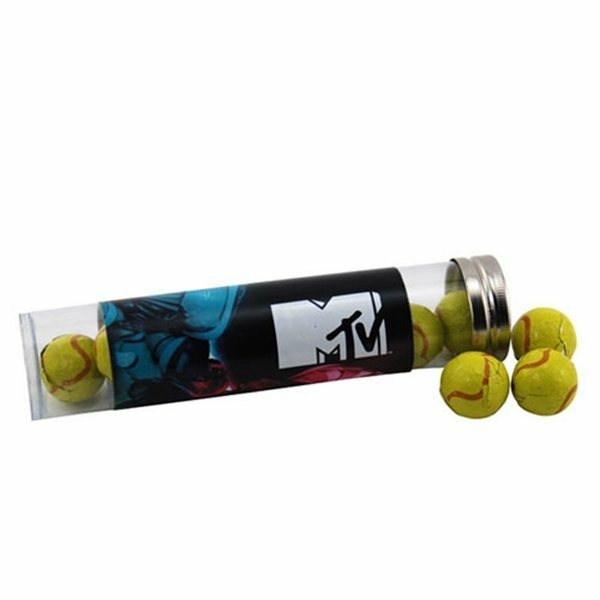 Filled with Chocolate Tennis Balls. A great affordable option. AnyPromo did an excellent job taking our logo and putting it on this ornament. The pricing and quality can not be beat. I highly recommend the product. This is a great color! Liked the color it was very bright and nice. The size was we expected. Graphics look wonderful. The product arrived on time and exactly as I had been expecting.